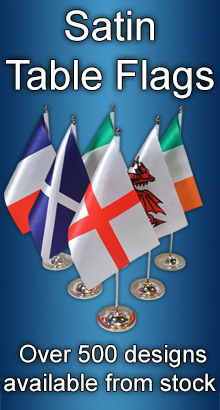 Home » All Hand Flags » German » 6"x4"
- 100% polyester flags - 6" x 4" (15 x 10 cm). 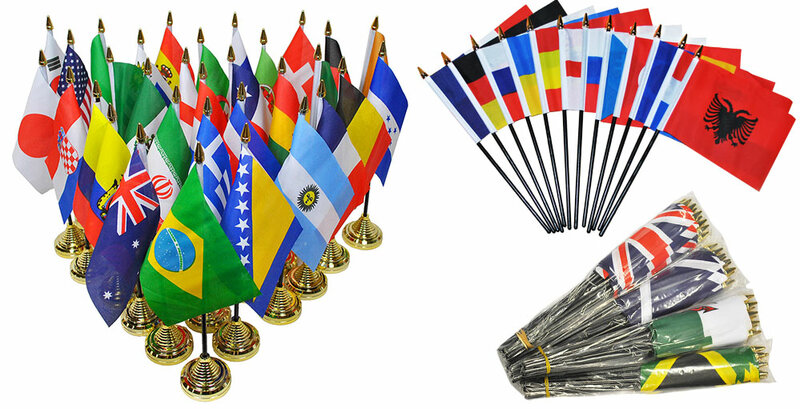 - 10" (27cm) plastic poles, with gold tips. - Black or Gold bases available, separately. 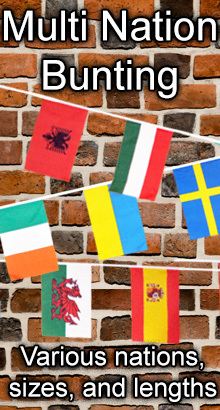 100% polyester flags on black plastic poles with gold plastic caps. Screen printed in b..